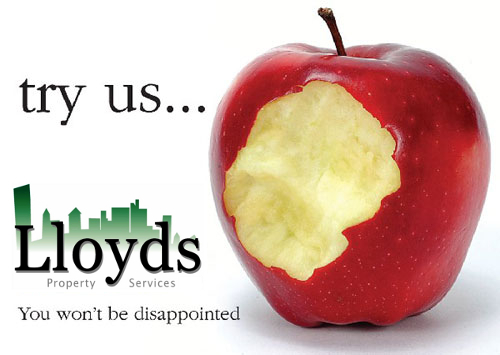 Lloyds are fully focused on property management and the priorities and needs of landlords. Our core business focus is as specialist and dedicated letting agents, ensuring we target the right tenants in both Erdington and the surrounding areas of Birmingham. We are confident that our services are the best, and we operate a policy with all of our landlords to work solely on a “No Let – No Fee” basis meaning we will never ask for any money to be paid in advance. Our office is open for calls and property viewings from 8am in the morning until 10pm in the evening Monday through Saturday. This provides additional convenience to both Landlords and Tenants who work or have busy schedules during the day. Our office is positioned in a prime location in Erdington, Birmingham, so your property will be seen by as many potential tenants as possible. We advertise 24 hours a day on the UK’s top websites, Rightmove and Zoopla and receive numerous telephone calls and emails every day from tenants who have seen our landlords’ properties on these sites and are seeking further information. Our property management service offers everything from advertising your rental property, to ensuring you get the right tenancy agreement signed. Our “TO LET” boards are designed and digitally printed in innovative and striking graphics to make your property stand out from the crowd. Our experience shows that using these distinctive boards tends to attract greater interest and tenants quickly. Our specially designed window display cards highlight the greatest features of your property, and colour laser printed photographs are used to generate interest. If you have a buy-to-let mortgage and are looking for your property investments to pay off, we can also help with our expertise in buy-to-rent portfolio management. We have many potential tenants who visit our Birmingham based office, and a dedicated system allows them to browse up to 40 pictures of each property we are currently managing. Our experience shows that having many photographs can greatly increase the chances of viewing requests. We utilise a state of art property management computer system which is constantly updated with new features and is compliant with legislation requirements. One of the functions of this is to maintain an applicant database, and to regularly match applicants and properties by email or letter. The motivated and knowledgeable team at Lloyds manage millions of pounds of assets for individuals and corporate landlords of all types. We believe that speedy and efficient communication is the cornerstone of our unrivalled customer service and we attend to landlord’s calls, emails, and letters with the utmost priority. We have a range of gas (CORGI), electric, plumbing, and decorating specialists who can be sent out to the property at short notice. We will arrange and manage all types of repairs when necessary and authorised by you.